If you are looking for luxury and exclusivity, you have come to the right place. 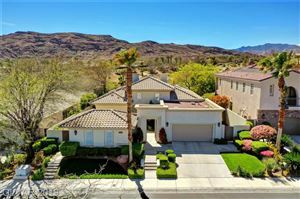 Located in Summerlin, The Ridges is a 793-acre high-end residential village with an elaborate master-planned community that offers an assortment of custom homes in seven distinct, guard-gated neighborhoods. In 2004, Forbes.com names The Ridges the third most exclusive guard-gated community in the United States! Jack Nicklaus’ Bear’s Best Golf Course features an 18-hole championship course that is open to the public. Club Ridges is a private, members only, community center designed specifically for the residents to mingle and socialize. Club Ridges includes a state-of-the-art fitness center, resort-style swimming pools, and lighted tennis courts. Membership to this 9,000 sq. foot club is included in your homeownership dues.